75% of our bodies are made of Water. Ever wondered if thoughts had an effect on water? There has been some interesting research done by Dr. Masuru Emoto, which was conducted on crystals of frozen water. The results are rather shocking. As it turns out, thought, sound, words, and prayer have an effect on the water itself. Using a device called a Magnetic Resonance Analyzer (MRA), Dr. Emoto found that each substance has its own magnetic resonance field. Now, how does this apply to us? Well, remember how humans are made primarily of water. Knowing that each substance has its own magnetic resonance field may be the key to making fresh discoveries about the human body and even understanding illness and disease. This research exemplifies the power of positive and negative thinking. If thoughts and words have an effect on water crystals, imagine the effect that would be carried onto us. 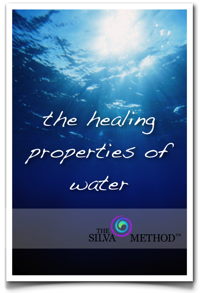 Have a look at this Silva Report on Dr. Emoto’s discoveries. The research is ground breaking and is directly applicable to your lives. Thank you, Veronica! Please keep in mind we are here for you when needed. Thank you, Veronica! If there is anything we can do, please, by all means, do reach out to us when the time comes. But for now, remember to stay positive and blessed. Hi, Tanesha, If there is anything we can do for you know we are here for you when needed. a look at new material you post. Great to read you’re enjoying the read. If there is anything, we can do for you know we are here for you when needed. Woohoo, Mervin! Thank you for the pad on the back… We are proud! Thank you, Loyd! We are working on more to come. If there is anything we can do for you, please let us know. Hi Nichole, we are pleased it touched your heart. You are most welcome! Good day to you, Thaddeus! Yes, by all means, do share Silva’s post with your twitter group. It is a fantastic idea and way in helping others when needed. You are most welcome, Merissa! Thank you, Merissa! If there is anything we can do, please, by all means, do reach out to us when the time comes. But for now, remember to stay positive and blessed. I was quite aware about this thing. I am happy that you have backed up my belief into confirmation by writing this article. Great insight. Loved it. Please keep writing. I would love to read it. Thank you, Anjali! If there is anything we can do, please, by all means, do reach out to us when the time comes. But for now, remember to stay positive and blessed. I love your blog.it scientifically explain the secret of Melerigamy.